Get the facts to understand fats better. In the past, the word “fat” conjured up images of greasy fries, but now the issue of fat is more complicated. Research has flip-flopped on the benefits and dangers of various dietary fats. Is butter back? Aren’t nuts too high in the “F” word? Should we eat less fat or more fat—and what types? The answers lie in the chemical structure of fat. The length of the chain, the number of single vs. double bonds and how dietary fats convert once they’re in the body—each play a significant role in your health. Fat is an important macronutrient. A diet too low in fat can lead to hormone imbalances, dry skin and poor brain function. It can even cause weight gain. Health experts recommend that about a third of your calories come from fat. But more important than the amount is the type of fat you consume. Leading the confusion is vegetable oils. For decades we were told that polyunsaturated oils like soybean and corn (those oils in clear plastic bottles sitting under bright lights at the grocery store) are heart-healthy. Not true! To improve the taste, clarity and extend shelf life, these oils are bleached, deodorized and treated with chemicals—a process that creates harmful free radicals. Additionally, vegetable oils are high in omega-6 fatty acids and have been linked to inflammation, cancer and oth er degenerative diseases. Even worse, when these liquid oils are made solid through a process called hydrogenation, they generate trans fats—the worst kind of fats. Trans fats, like those found in many brands of margarine, increase your risk of heart disease, stroke and diabetes. Since there is no safe level of trans fat consumption, steer clear of any food product listing “hydrogenated oil” in its ingredients. On the other side are saturated fats. Mainly derived from animal sources like beef, lard and butter, these fats are among the most misunderstood. Some research suggests that saturated fats raise “bad” cholesterol (LDL) and increase your risk of heart disease, but other research finds no association. Saturated fats do elevate LDL, but mainly large LDL particles that may protect against heart disease. Plus, saturated fats elevate HDL, the “good” cholesterol. The higher your HDL levels, the lower your risk of heart disease. Structurally stable saturated fats are the least susceptible to oxidation, so you can cook with them at high temperatures without damaging their chemical composition. One of the healthiest saturated fats to add to your diet is coconut oil. The medium chain triglycerides (MCTs) in coconut oil have been shown to improve blood sugar regulation and thyroid function and can help reduce the risk of disease, but the benefit that gets the most attention is how this fat makes you thin. A review of 13 studies found that MCTs resulted in decreased body weight and fat, visceral fat and waist and hip circumference. Other studies have found that MCTs raised the metabolic rate after only a month of daily use. Cooking and baking with coconut oil or adding it to a smoothie provides an ample dose of lauric acid, an anti-inflammatory and antimicrobial MCT. However, shorter MCT chains are effective for entirely different reasons. 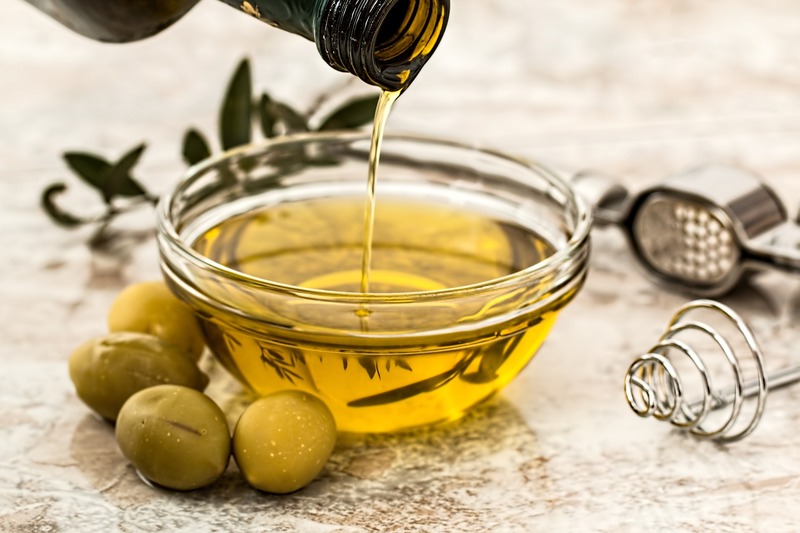 Unlike other fats, shorter MCTs like capric acid and caprylic acid found in concentrated MCT oil bypass digestion and are quickly metabolized into energy. Concentrated MCT oil provides an energy boost for your workouts, or just to get you through a busy day. The other champion of fats is omega-3. Omega-3 fatty acids are known to help ward off heart attacks and inflammation, and ease osteoarthritis pain among other health benefits. Once omega-3 is in the body, it converts into fatty acids docosahexaenoic acid (DHA) and eicosapentaenoic acid (EPA). Omega-6 fatty acids (from vegetable oils, cereals and nuts) inhibit this conversion—which is why it’s necessary to up your omega-3 intake while active ly reducing omega-6. Consuming omega-3 just twice a week can reduce your risk of heart disease. Omega-3 is found in cold-water fatty fish, such as salmon, trout, mackerel or a vegan source derived from algae, for example. Omega-3 blocks the enzyme cyclooxygenase (COX), which produces the prostaglandin hormones that trigger inflammation. EPA and DHA can reduce blood levels of these prostaglandins within a week. Since inflammation underlies most chronic conditions such as allergies, autoimmune disease and belly fat, and is triggered by injuries, one gram or more of an omega-3 supplement daily can help prevent or treat these circumstances. Enjoyed this article? Check out this one on which fats help you burn belly fat!